A typical old dice game in neat little box, made by Kumbak. Three dice and a succession of throws will get you a goal - or indeed a 'swift change'! Tiny little cardboard box with 3 dice and wax instruction sheet. 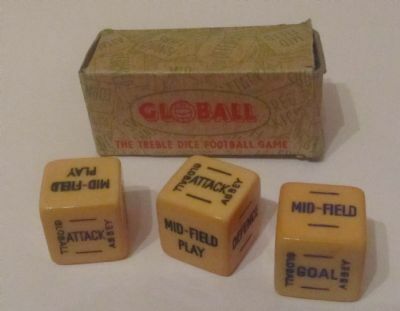 Three dice, box and wax instruction sheet.